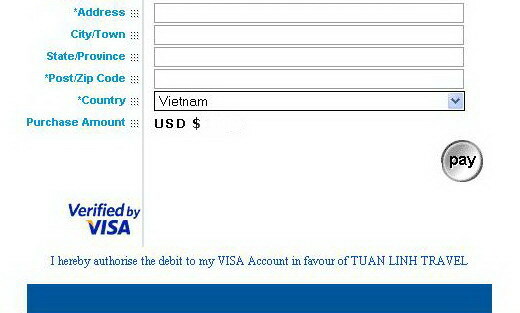 Sidan innehåller information om Vietnam payment methods. We connect with OnePay Payment Gateway (www.onepay.vn) to accept credit card online payment. All of your card information are processed through SSL protocol with international card security standard. Your card information will not be stored at our database (merchant) but MasterCard with advanced security system. We will provide you with a secure link for online payment once and you have agreed with the services and price. Our staffs will create an Order for online payment. Please see the below instruction to pay online with your credit card. 1- First step: Copy and paste the address we provide to browser or click the link. 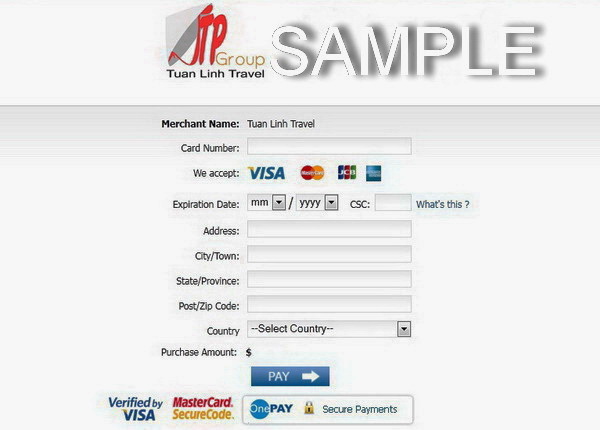 The payment gateway interface will appear as below for you to select the card type you are going to pay with. Note: Online payment password will be required if you have enrolled 3D-Secure Program for your card with the Issuer Bank namely Verified by Visa for Visa card, Master Card Secure Code for MasterCard, and J- Secure for JCB Card. You will be informed to wait for some seconds for the transaction result from OnePay payment gateway. Then, we will send you an email to inform you the Order status and the transaction result. In case you input correct card information but you did not receive the transaction result from the payment gateway or from us. 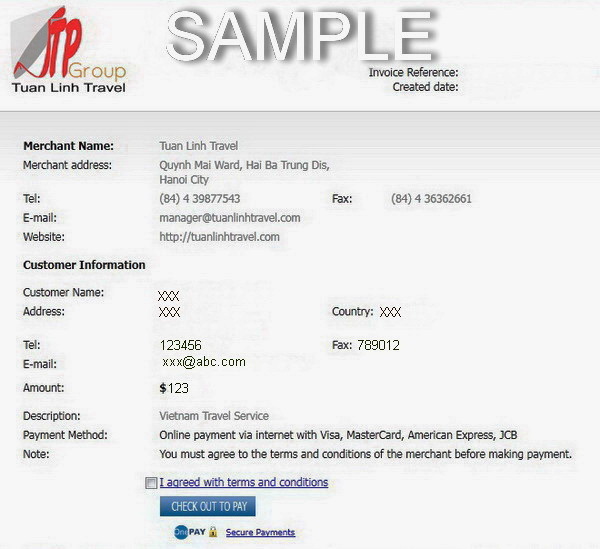 Please do not try to make other payment and contact us your tour operator to get the transaction result and confirmation of the Order.